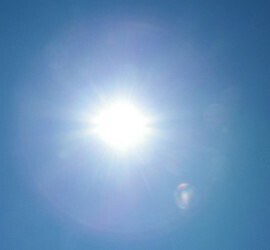 The best guarantee for consistent long term performance of a commercial solar system is quality. We offer the most advanced and durable solar solutions to maximise your return on investment. 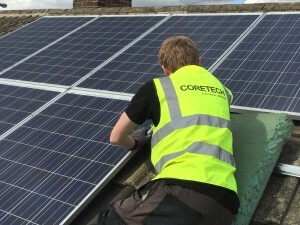 Coretech Electrical are the leading provider of solar panels in the Leeds, Sheffield and Huddersfield areas. We also offer all of our electrical services, including the installation of solar panels, nationwide and to all industry sectors. 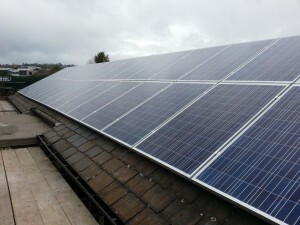 We are an NICEIC approved and accredited company and are the leading provider of solar panels in the region. Coretech solar panels are installed by reliable, highly trained electricians. We will always carry out the work you require to the very best standards. 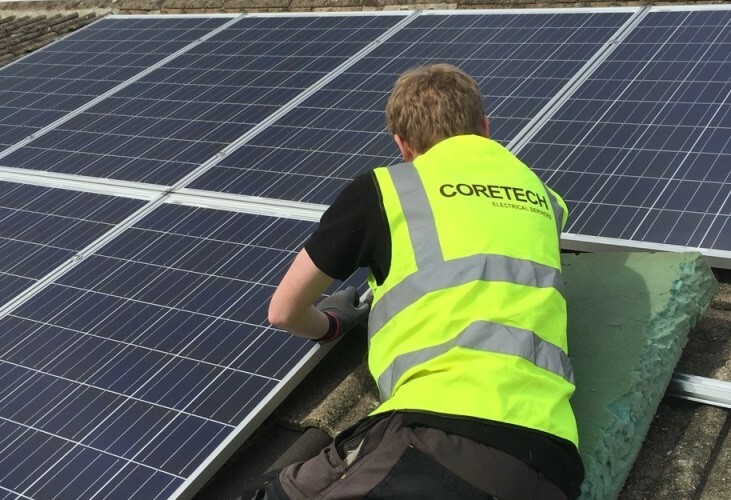 We put a high emphasis on complete customer satisfaction and work hard to keep the prices of Corectech solar panels the most competitive in the Leeds, Sheffield and Huddersfield areas and nationwide. We are constantly expanding our working knowledge as our industry evolves, we feel this gives our customers the peace of mind that we can take on any job they need doing, and complete it to the highest possible level of quality.